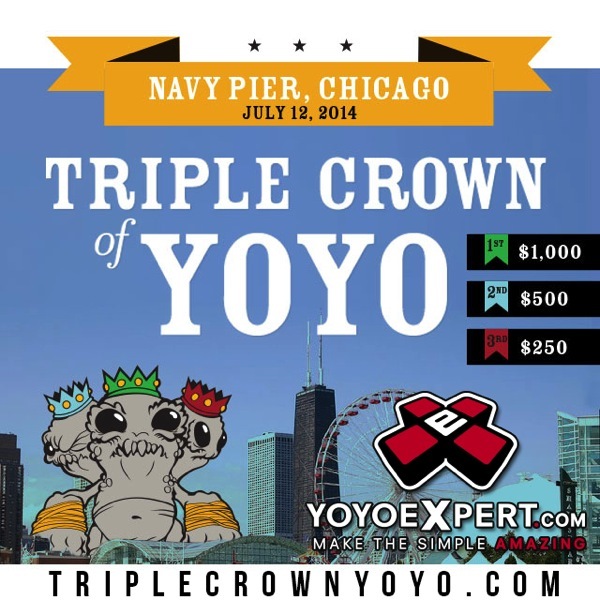 YoYoExpert Blog & Yo-Yo News – Triple Crown of YoYo 2014 – July 12th – Chicago! YoYoExpert is a PROUD sponsor of the 2014 Triple Crown of YoYo!!! This contest is going to be fierce as it is 1A ONLY W/ BIG CASH PRIZES!